I hope you’re getting ready for the biggest Bolognese cook off Melbourne has ever seen! Next Saturday I’m opening my door for makers of Bolognese to hand me a sample for trial. Drop off time is between 10am and 5pm in Caulfield. To find out the address, email spaghettiblogenese@gmail.com. The following day I will be taste testing all the sauces received. It’s going to be a blind taste test which Meltzer Productions have kindly offered to film. Each sauce will be reviewed to camera, judged for its flavour and consistency. Once the taste test is over, the winner will be selected and the video uploaded to my blog for all to see. 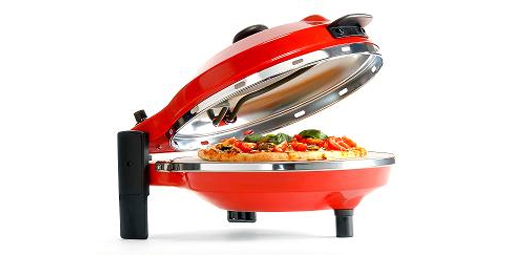 The winner of the competition will win a Just Pizza Oven Pizza Maker in red (rrp $169.00), thanks to Everten. Everten Online stock an extensive range of Kitchenware from cookbooks to electrical, cookware, bakeware, chefs knives to barware and tableware, from renowned brands such as Scanpan, Le Creuset, Royal Doulton and KitchenAid. Looking forward to finding Melbourne’s best home cooked sauce next weekend – spread the word to anyone you think may be interested in submitting! Join the event on Facebook by clicking here.